These military men and women have successfully led the United States Armed Forces during a very challenging and difficult time in our country’s military history. Being involved in numerous wars and conflicts for more than a decade, these individuals have shaped the debate surrounding the duty and the call to serve. With the Middle East continuing to be a volatile environment for our troops, and politicians continuously posturing on positions that take the fight to the enemy, we can only expect that our military will continue to see high ops tempos. Zachariah Fike, an Army Infantry Major with over 19 years of service to his country, was selected as the 2016-2017 Military Times Army Soldier of the Year, making him the first National Guard Officer to ever win this prestigious award. He has been decorated on 25 different occasions which consist of two Bronze Stars and a Purple Heart for wounds received in Afghanistan. He founded the national 501(c)(3) Non-Profit Organization, Purple Hearts Reunited. To date, the organization has returned over 400 medals across 46 states, traveling over 130,000 miles to return Valor. The Foundation was recently highlighted in American Legion Magazine and on the popular History Channel show, American Pickers. Zac’s works to preserve history recently inspired Congressman Paul Cook to write bill H.R. 544, the Private Corrado Piccoli Purple Heart Preservation Act. 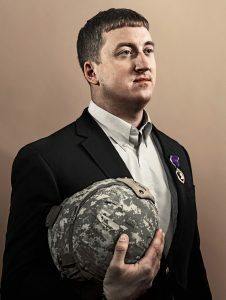 Recently passed by the Senate, this bill would make it illegal to sell Posthumous Purple Hearts in our country for profit. 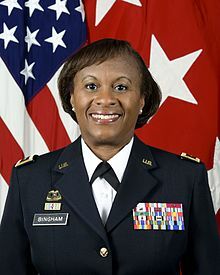 Lieutenant General Gwendolyn Bingham is the Assistant Chief of Staff of Installation Management where her mission is to modernize military installations across the world. LTG Bingham is leading the way to not only make sure that military installations will not only address vulnerabilities from threats but also be energy secure and resilient. Her efforts have led to the Army implementing policies and initiating projects that “add reliable, diverse and redundant energy sources to our installations.” The Army is also working to improve their “current infrastructure conditions, ensuring the lines and equipment on our sites reliably distribute energy” where its needed most. The service member of the year award highlights exemplary achievement by a service member beyond the call of duty. A member of each service branch is awarded every year. Awardees are selected for their demonstration of a high level of professionalism, concern for fellow service members, and their commitment to community service. 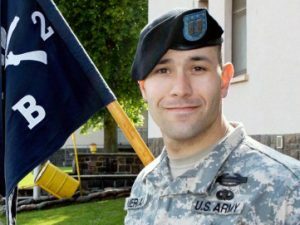 Maj. Christopher Mercado, 2017 Army Service Member of the Year, co-founded the Objective Zero Foundation, which provides suicide-prevention resources to troops, vets and families. Mercado and the foundation created the Objective Zero app, where users can chat with someone via message, video or phone call at the push of a button. Mercado has also volunteered as a youth wrestling coach, mentoring his son and other young wrestlers. Through a military fellowship with the College of William and Mary’s Project on International Peace and Security, Mercado assists an undergraduate student with research work on national security. Mercado has served honorably and received awards and decorations to include three Bronze Star Medals, the Meritorious Service Medal, the Army Commendation Medal, the Joint Service Achievement Medal, 10 Army Achievement Medals, and the NATO Medal. 2017 Marine Corps Service Member of the Year Gunnery Sgt. Daniel Robert’s four combat deployments as an infantryman include a historic tour to Sangin, Afghanistan, with 3rd Battalion, 5th Marines in 2010 and 2011 when his battalion took more casualties than any other U.S. unit in the Afghanistan war. Since July 2013, Robert has been assigned to the Marine Corps Silent Drill Platoon in Washington, DC. 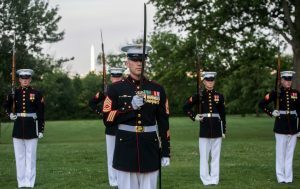 Almost all of the members of the Silent Drill Platoon are first-term Marines, but Robert manages to inspire them to look and perform as if they had spent years in the Corps. Robert has also spent more than 10 years volunteering with the Special Olympics that has included coaching a bowling team, setting up for events and partnering with Special Olympics athletes as they compete. 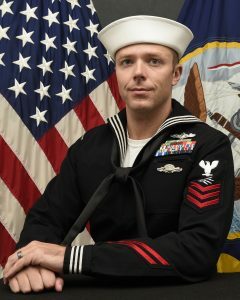 Information Systems Technician 1st Class (IW/EXW) Justin Sullivan, 2017 Navy Service Member of the Year, has served honorably for ten years in the Navy. During two combat tours in 2012 and 2013 at remote operating bases in Afghanistan, Sullivan served as a radio operator and supported medical evacuations. His expertise was credited with saving the lives of two local Afghan soldiers. 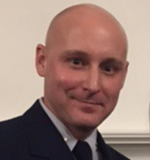 Sullivan has also spent nearly 380 hours volunteering as a teacher, mentor and safety observer with the Naval Sea Cadets Corps, a Navy-related organization that teaches teenagers, ages 13 to 17, about the Navy, leadership and community service. For his continued efforts in his community, Sullivan has garnered two President’s Volunteer Service Awards — one bronze and one silver — and has been given the Navy League’s Outstanding Service Member Award. Tech. Sgt. Megan Harper, the 2017 Air Force Service Member of the Year, joined the Air Force after the Sept. 11 attacks. In May 2004, Harper became the ninth woman in Air Force history to finish the elite security forces Phoenix Raven program, which specially trains airmen to secure aircraft while in flight and provide ground security when those aircraft land in dangerous areas. 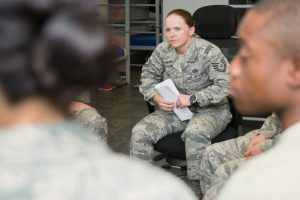 As a Military Training Instructor, Harper has trained 1,125 new airmen and graduated 22 flights, as well as overseeing 14 other instructors as an interim instruction supervisor. In May 2016, Harper performed the Heimlich maneuver on a trainee who was choking in a dining facility during dinner. Then, after leaving base she performed first aid on a pedestrian who had been struck by a vehicle. Over the past three years, Electrician’s Mate 1st Class William Gore, the Coast Guard’s 2017 Service Member of the Year, and his wife, Judith, have donated thousands of dollars of their own money to their nonprofit organization, Danilo’s Cares. Named for Judith’s father, Danilo Martinez, Danilo’s Cares has provided 3,000 impoverished Honduran children with free dental care. Gore recalls a life-changing moment in 2011 when he and his wife took a trip to her native Honduras. After Judith’s father passed in 2014, they set out to form a legal nonprofit entity to honor him and to continue Danilo Martinez’s lifelong passion for giving back to his community. Gore’s commitment to both serving his country in the Coast Guard and affecting positive change in the world around him is second to none.